Located in Richmond, a vibrant suburb in Vancouver, BC. 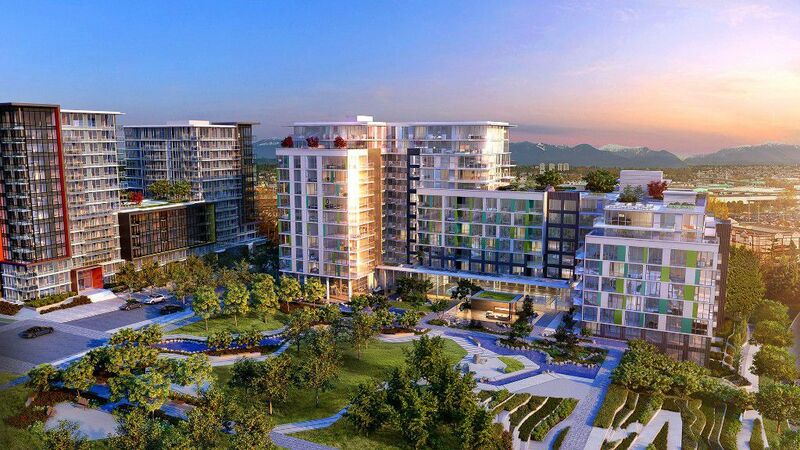 This townhouse and condominium development is slated to be ready 2016 and is being developed by Concord Pacific. Located at Garden City Road & Capstan Way, this new master-planned community is central to everything you need, with ready access to SkyTrain for ease of travel to Vancouver, as well as commuter-friendly bridges, plenty of schools and green spaces, and lots of shopping options too. Onsite amenities have been estimated at $20 million and includes fitness facilities such as swimming pool, hot tub, sauna. For entertainment, there is a private theatre, a golf simulator and a banquet hall and ballroom. For more activities, you can visit the indoor sports court for badminton or squash, give rock climbing a try on the climbing wall, or perfect your bowling game in their two-lane bowling alley.